1985 November Billboard Review of RHCP performing at the Ritz, NYC. 1988 May NME Review of RHCP at the Electric Ballroom, Camden, London, England. 1990 June Billboard Review of RHCP performing at the Ritz, NYC. 1992 February Rock Power Review of RHCP, Pearl Jam & Smashing Pumpkins at Roselands Ballroom. 1992 March NME News item explaining what happened about the band’s cancelled Manchester gig for the Top of the Pops no- show. 1992 March/April? review of the concert at Brixton Academy Unknown source. 1992 April Raw (94) Backstage at the Brixton Academy talking about strains within in the band and that this might be the end for the Red Hot Chili Peppers. Also a review of the gig. 1992 July- August RAW (102) Concert review of the band playing at the Werchter and Torhout festivals- Arik Marshall’s first appearances with the band. 1992 November Seventeen Article about Lollapalooza with a quote and photo of Anthony Kiedis. 1995 October NME Rather unpleasant review of RHCP performing at Brixton Acadeny, England. 1996 July? 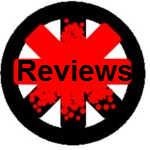 Review of RHCP at Wembley Arena. No source. 1999 August Ray Gun An interview with the band about Californication built around a review of the band’s sold out show in Pontiac, Michigan. 2000 Review of the Big Day Out No magazine source/date. 2000 September Variety Review of RHCP and Stone Temple Pilots at the Verizon Wireless Ampitheater, Irvine. 2002 May (circa) unknown article (possibly Q Magazine) which is a review of the band performing at The Garage in London. 2003 March 5th Metro Life Article about RHCP ahead of their SEQQ, Finnieston Quay, Glasgow concerts. 2004 June Metro Life. Article about the Chili Peppers ahead of their Murrayfield Stadium concert.
? Unknown clipping review of Hyde Park probably from a ‘best of’ list about concerts. 2006 July (based on date of concert)? Crossbeat Fuji Rock Fest 06 Special Edition. 2006 July? Buzz Fuji Rock Special Another Japanese magazine with some great photos. 2011 July RHCP News snippet about RHCP chatting to Zane Lowe (UK radio presenter). 2011 October Rockin’ On (Japan) review of RHCP at Summer Sonic with photos & setlist plus an article.